Skin Therapy | Pro Chem, Inc. SKIN THERAPY is formulated with a special blend of water-based emollients and moisturizers that provide soothing relief, restoring moisture as it absorbs quickly into the skin. Because the ingredients are water based, it leaves no oily residue. 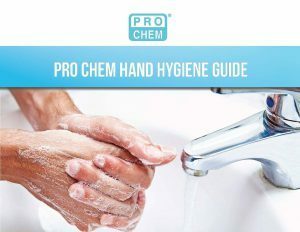 This product is perfect for all washrooms, particularly where frequent hand washing is required. Squeeze a small amount of SKIN THERAPY onto palm and rub thoroughly into hands, arms, face and all over the body. Use often to keep skin comfortable and conditioned.